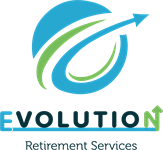 Evolution Retirement Services is more than a company, it’s a vision. It’s a movement. All encompassing services for our clients, in every aspect of their retirement lives. Our reputation thrives not just on our high level of customer satisfaction, but on the maximum level of client education. When our clients are truly educated, and confident in their retirement stability, we have done our job. Whether you are new to retirement or already on your journey, Evolution can educate you every step of the way. Numbers are just that, numbers, unless you know what they all mean. We are committed to educating and assisting you in all aspects of your retirement journey. Even if you have an MBA in Business, or an Insurance License, or a Law Degree, retirement will present many questions, and many challenges. In addition to providing you answers and options, the experienced staff at Evolution Retirement Services aims to provide a continued education that will strengthen your satisfaction as well as our working relationship. Education and service is in our DNA.